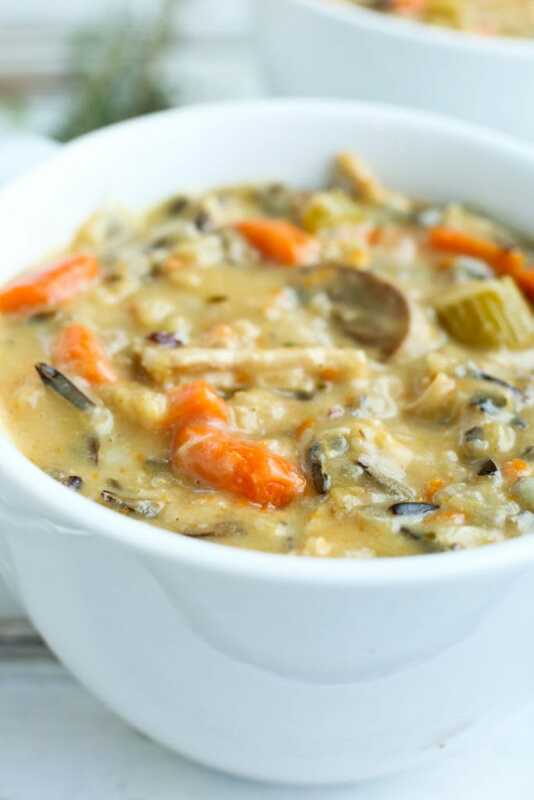 If you are looking for a great recipe for your leftover turkey, you found it in this Turkey Wild Rice Soup! I hope you all had a wonderful Thanksgiving with your families! Today I bring you a recipe for my favorite thing to make with leftovers: soup! 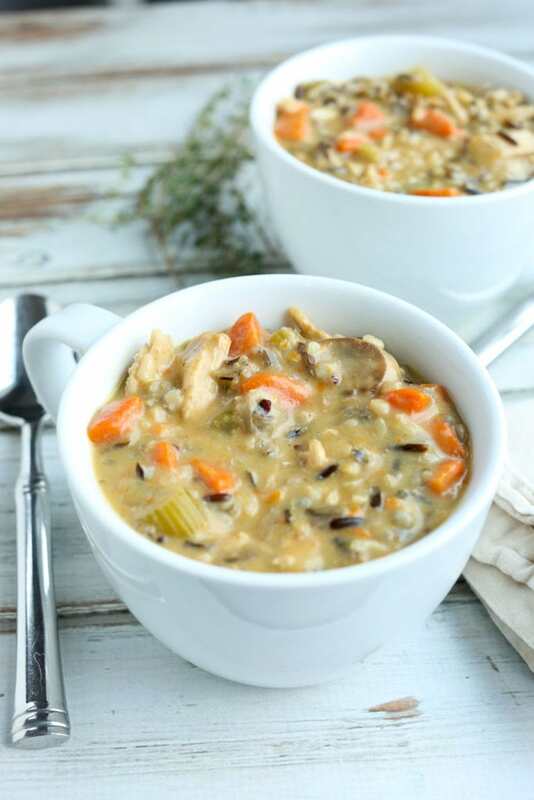 This Turkey Wild Rice soup is perfect to make with your leftover turkey because it has all the things in it that you probably already have on hand from your Thanksgiving cooking extravaganza: carrots, onion, celery, garlic, and fresh herbs. 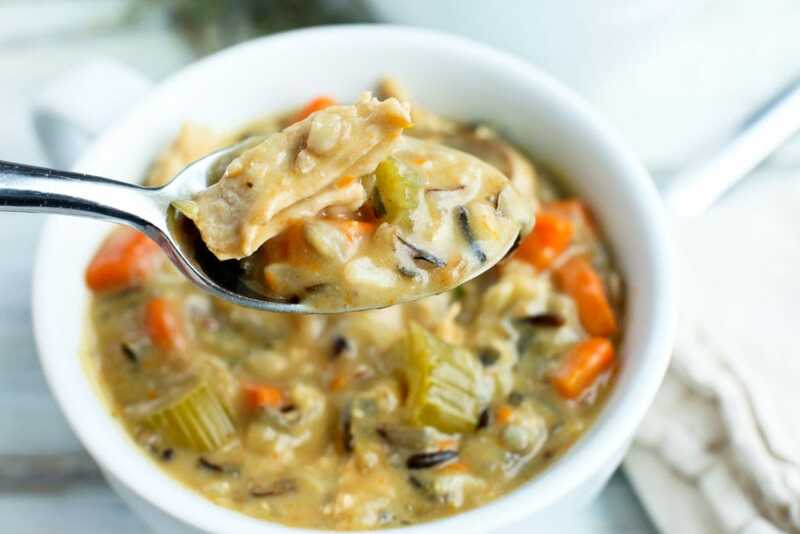 I make my Turkey Wild Rice Soup with butter and a little half and half to give it some creaminess. If you want to make this dairy-free, it’s easy to do. Just use oil in place of the butter to sauté the vegetables and either skip the half and half or use a plain non-dairy creamer. This is an easy way to make good use of a lot of your leftovers. 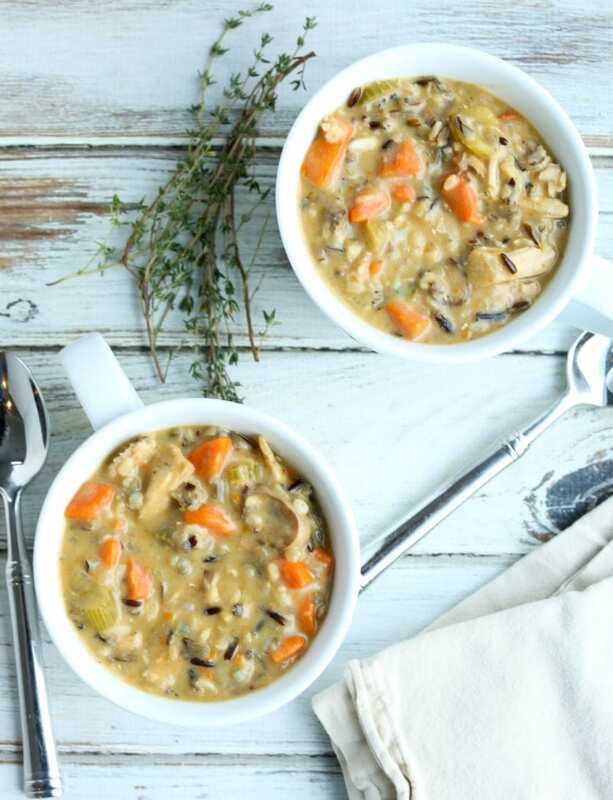 I just love the flavor of this Turkey and Wild Rice soup and it won’t take you nearly as long as it took to make your Thanksgiving feast. If you use your turkey bones to make stock this soup will really sing, but it’s also great using chicken stock, so use what you have. Sherry wine compliments the flavor well here, but if you don’t have it that’s okay, your soup will still be delicious. The first time I had slivered almonds in my turkey and wild rice soup I knew I’d never go back to leaving them out. Another great addition if you have them. They give the soup an unexpected, but welcome crunch. If it happens to be any other day of the year when you’re reading this, you can certainly make this soup with leftover chicken as well. I hope you enjoy this soup and the rest of the weekend with your family! 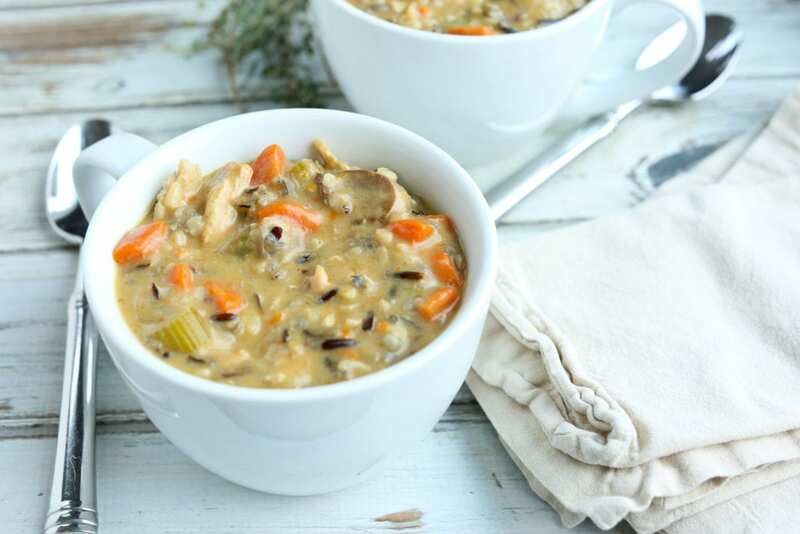 This Turkey and Wild Rice Soup is perfect for your leftover turkey or use leftover chicken! Melt your butter in a large Dutch oven or stock pot. Add the carrots, onion, and celery to the pot, season with salt and pepper, and cook until softened, about 5 minutes. Add the flour and cook about 3-5 minutes. Add 4 cups of the turkey or chicken stock, thyme, rosemary, Worcestershire sauce, and rice. Add the sherry and turkey and simmer, uncovered, another 15-20 minutes, until the rice is cooked. Stir in the half and half and slivered almonds. Add more stock if soup is too thick for your liking. Enjoy! My #1 strategy for eating healthy all year long is consistent meal planning! 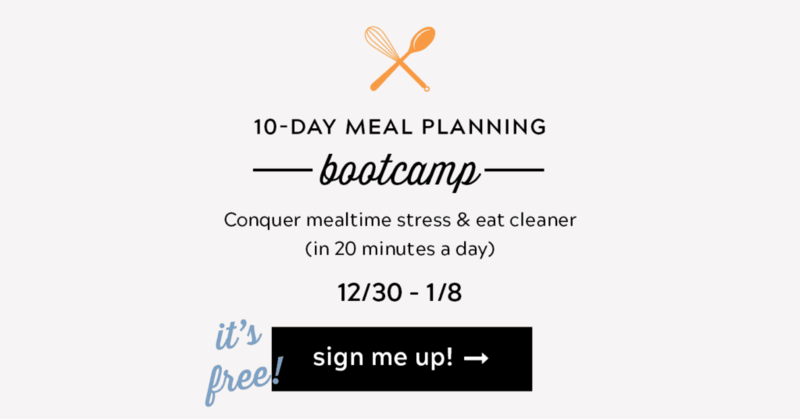 Join me for the FREE 10-Day Meal Planning Bootcamp! Click below to sign up! This looks great, but I don’t see the turkey in the ingredient list. How much do you add and when? Well that was a terrible thing to forget! It’s 3 cups shredded turkey and you add it with the sherry. I’m editing the recipe now! I sure would love nutritional breakdowns and carb counts on your recipes. I do provide it for most of my recipes since I have had access to a calculation tool about a year ago. For this one I didn’t include it because I was traveling for Thanksgiving and honestly, I totally forgot to calculate it! I will do it now and insert the nutritional label. 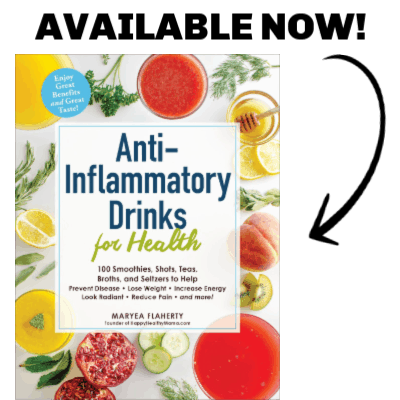 🙂 Let me know if there are any other recipes you need the info for and I can get it. I thought this tasted amazing. I love the creaminess of the soup. I made my soup in the crock pot. I forgot to add the sherry. I can’t wait to make this again, this time with the sherry! If cooking in the crock pot, do you still cook everything first? How long do you cook in crockpot? We made this for dinner tonight – absolutely delicious! The almonds take it to the next level! We did add more broth at the end as it was a little thick for our taste, but overall this is a fabulous recipe! Thanks, Carole! So glad to hear that! I made this and love it so does my husband. I also gave the leftovers to my sick pastor and his wife. Thanks for sharing. Love this recipe…..it has become our go to recipe for leftover turkey. I did add extra broth…..probably twice what the recipe called for. Thanks for letting me know, Barb! This was delicious! Have you tried freezing it? Any thoughts on whether it would freeze well? We always eat it up so quickly, we never have any to freeze! So I haven’t tried it. But, I do feel like it would freeze fine. Please let me know if you try it! It’s in step 5. You add it along with the stock. 🙂 Enjoy! This was a great way to get rid of my leftover Thanksgiving turkey. It was worth the effort, so yummy. This has to be the best soup I have ever made! Restaurant quality and just so hearty! I will make this again! Lil tip I grabbed (not mentioned in this recipe) is to soak ur wild rice about 6 hrs ahead of making the soup! I used the turkey carcass to make a homemade broth and just threw in the leftover herbs from thanksgiving dinner while it simmered. I strained this and followed the rest of the recipe. It was amazing and is now a Thanksgiving tradition! Would this recipe turn out okay if I used olive oil instead of butter and almond milk instead of half and half or just added more broth instead of the half and half? Dairy free is my goal especially with dinners. I suspect u cud use some good olive oil to replace the butter and just omit the cream for dairy free option – the trick is good rich bone broth for better flavor – I think the almond milk may Change the flavor and suggest not adding. Yes, you can use olive oil in place of the butter. For the half and half, you can either leave it out all together, OR use a non-dairy milk. For the best flavor, I recommend Ripple pea milk. I’ve found that to have the most neutral flavor. You can use almond milk, but it will change the flavor. Thank you! I’m glad I asked. I’ve tried to use almond milk a couple times as an alternative in similar recipes and it never turns out right. The consistency is usually off or it tastes funny (I use unflavored unsweetened almond milk). Thank you again! I was looking for something a little different from our standard Thanksgiving leftover turkey noodle soup. I’m so glad I found your recipe. It is absolutely delicious. My 5 year old picky eater declared me to be the best cook over this one. Thank you for sharing. I stumbled upon this recipe when searching for a good soup to use up our Thanksgiving leftovers, and I’m so glad I did! I made it over the weekend and I am making it again for dinner tonight, that’s how good it is!! Absolutely delicious! This is a definite keeper! Loved the texture and extra flavor the almonds added. YUMMY! Delicious, satisfying, comfort food. Will definitely make it again! This was THE BEST and is now my FAVORITE soup to make at home. Thank you for sharing this amazing recipe. It was a HIT at my house.